The recommendation has been welcomed by the NPA, which raised the point in its evidence to the Commons Health and Social Care Committee’s inquiry into antimicrobial resistance (AMR). The committee published its report on Monday, which included wide-ranging recommendation to address AMR in human and animal medicine. Among the key recommendations the MPs said the Government should establish AMR as one of its ‘top five policy priorities’, with a dedicated budget to help make ‘more rapid progress across all relevant departments’. The committee called for ‘tangible progress’ on implementing policies to reverse the decline in research into new classes of antibiotics and for steps to reduce ‘inappropriate and unnecessary’ prescribing of antibiotics for humans, alongside moves to promote wider uptake of vaccination. It also covered antibiotic use in farming, describing it is ‘an important contributor to AMR’. In 2016, agriculture accounted for 33% of total UK antibiotic sales, and the report acknowledged that ‘good progress has been made in reducing antibiotic use in agriculture’. Total UK antibiotic use in agricultural animals dropped by 27% between 2014 and 2016, to 45 mg of antibiotic per kg of livestock (mg/kg), exceeding the Government target of 50mg/kg by 2018. In comparison UK human antibiotic use was 129 mg/kg in 2014. With targets having been set for continued reductions across the livestock sectors, the MPs said Defra must ensure that progress in reducing the use of antibiotics in animals is ‘embedded and in some areas extended’, including keeping targets under close review. But the committee expressed ‘serious concerns’ about the prophylactic or metaphylactic use of antibiotics in animals, and the use of antibiotics of last resort that may as a result lose their effectiveness for humans more quickly. “Strict controls on these practices are essential and attention must be paid to this following the UK’s departure from the EU,” the report said. The report recognises that AMR is a global issue requiring a co-ordinated international response. 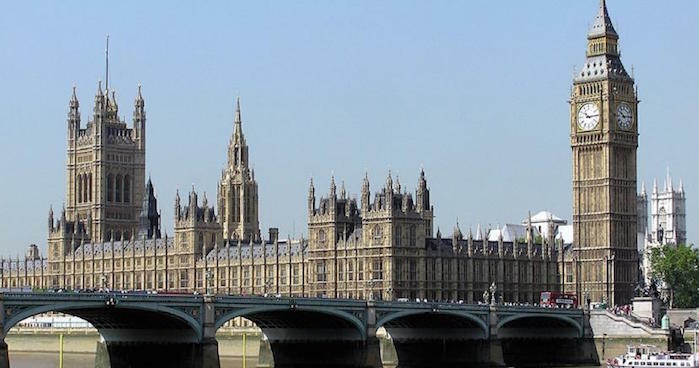 The MPs said they had heard concerns that when the UK leaves the EU, imported meat and dairy produce will enter the UK market which has not been produced to the stringent standards relating to antibiotic use currently applying to meat and dairy products produced in the EU. They were ‘unconvinced’ that the absence of logos like the Red Tractor on these products would provide sufficient information and protection to all UK consumers to make informed choices. “We welcome the Secretary of State’s clear and strong opposition to any reduction in food standards as a result of Brexit. However, we do not regard those assurances as sufficient to guarantee that UK consumers will continue to be able to choose meat and dairy products which have been produced responsibly and in a way which will not undermine efforts to tackle AMR,” the report said. NPA senior policy advisor Georgina Crayford, who compiled the NPA’s evidence for the inquiry, welcomed the committee’s calls for a requirement on post-Brexit imports. “This is a good report that acknowledges the strides the livestock industry is taking in reducing and refining antibiotic use. The pig industry, alone, has more than halved usage in the space of two years and there will be further reductions to come,” she said. “But the same progress in addressing unnecessary antibiotic use in livestock is not being made in other parts of the world. We highlighted our concerns about the prospect of imports produced to lower standards of antibiotic use in our response to the committee’s inquiry and are pleased to see our concerns echoed in this report.